Pineapple lilies are some of the most amazing looking flowers you can plant because they look like a representation of pineapples! So although they may not be pineapples, they certainly LOOK like pineapples, and they’re very fun to grow! Pineapple lilies are annuals and are very frost tender, and only grow to 12-15 inches in height. 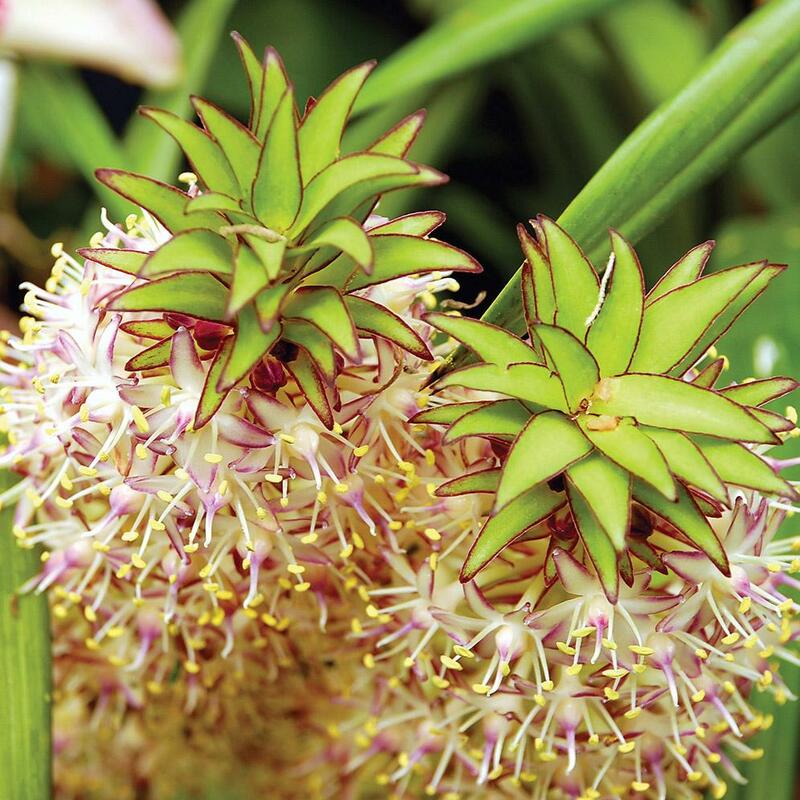 These strange looking flowers are the perfect plant for a unique looking garden, so keep reading to learn how to grow pineapple lilies! Pineapple lilies prefer warm, moist climates and should only be planted in USDA zones 10 and 11. They can also be grown in USDA zone 8 as long as they are brought indoors in the winter. Pineapple lilies are grown from bulbs and take a year to grow their pineapple-like flowers. 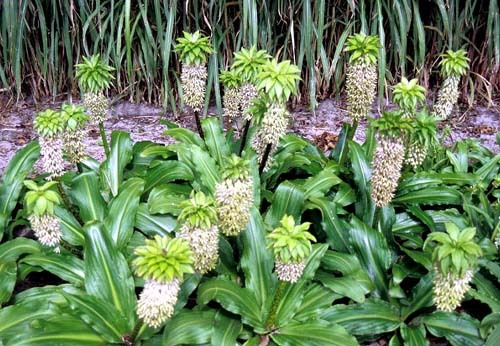 Purchase pineapple lily bulbs from your local nursery or online. Start them in pots and then transplant outdoors once all danger of frost has passed. Use good quality soil with good drainage. Work in a few inches of compost or leaf litter to increase nutrient content. Dig each hole 6-12 inches in depth and plant every 6 inches. Place the bulbs in full sun in the spring once the soil has warmed to 60F (16C). Pineapple lilies don’t require fertilization, but they do like some mulch worked in. If you’re moving the bulbs inside in the winter, wait until all foliage is gone. Remove the bulbs and lay them out in a cool, dry location for a week. Wrap them in newspaper and place them in a cardboard box or a paper bag. So now that you know how to grow pineapple lilies it’s time to roll up your sleeves and get to planting! 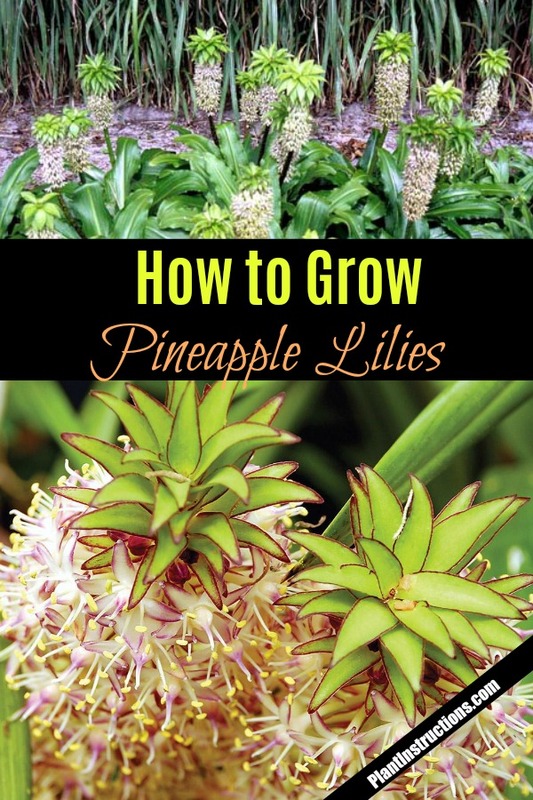 How to Grow Pineapple Lilies in Your Garden was last modified: April 5th, 2018 by Aniela M.